EBT or Medicaid card = Amazon Prime at a discounted monthly price – Making Connections. Finding Solutions. 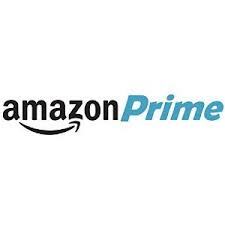 If you have an active EBT or Medicaid card you can now get access to Amazon Prime at a discounted monthly price at www.amazon.com/qualify. For EBT cards, you’ll need to enter your EBT number as well as upload an EBT card image that proves that you qualify for the discount. For Medicaid cards, you’ll need to verify your Amazon account by entering a 6-digit code sent to your email as well as upload a document (either a Medicaid card image or a picture) that proves you qualify for the discount. Only customers with active EBT or Medicaid cards can get access to Amazon Prime at a discounted monthly price, at this time. Customers who receive other government assistance benefits aren’t eligible unless they also have a valid EBT or Medicaid card. We understand there are other government assistance programs that do not utilize EBT or Medicaid. We are always working to improve our programs to better serve customers.